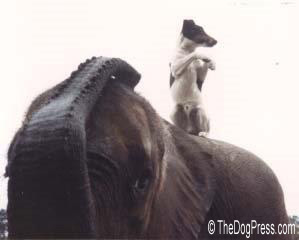 TheDogPlace chose "Elephants Reunite" to open our eyes and hearts to other animals. Elephants are one of the most intelligent and moral species on the planet. It would be cruel to keep one as a pet but after seeing this video, you too will love elephants and weep for their destruction. We thank Dr. Roberta Lee for this insightful story! Someone who doesn't really understand an elephant could not know the agonizing loneliness and heartbreak Shirley suffered. 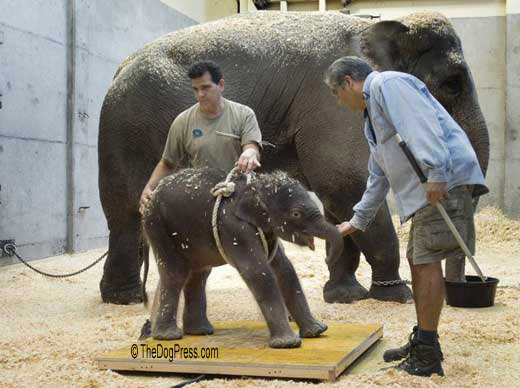 That's why this elephant story is in a dog publication. Someone who doesn't "read" dogs might overlook sadness, pain, depression... The insight gained from these few minutes of video can be extrapolated to the stray dog hiding in the shadows. To the nursing dam raiding your garbage. To the trusting eyes that beg you for love and companionship. As the story goes, Jenny and Shirley met at the circus they worked for when Jenny was just a calf and Shirley was in her twenty's. They only lived together for one winter and then were separated twenty-two years ago. Shirley was lucky to have been taken to a sanctuary and be so deeply cared for my her keeper. You will be torn by her suffering but uplifted when you meet Solomon James. First, watch Shirley's story and then, the miracle of part two. Click in center of video to pause or to re-start. Hit refresh or F5 to stop player allowing you to leave currently playing video to go to the next one. What happens next will touch your heart and bring you to tears. Shirley and Jenny gives us a new understanding of animals, including our "best friend." We promise you that Part Two will give new meaning to the term "Best Friend"
Circus must retire them. Do you feel that deprives our kids! 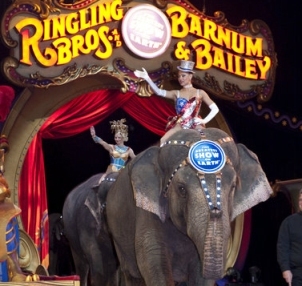 Oh how we will miss them, circus acts have thrilled us for over 145 years. Its something we sense as we face threats to dog breeders.